John D. Ringenberg – Ringenberg and Beller P.C. John Ringenberg focuses on the fields of business litigation, creditor disputes, landlord-tenant law, and commercial transactions. 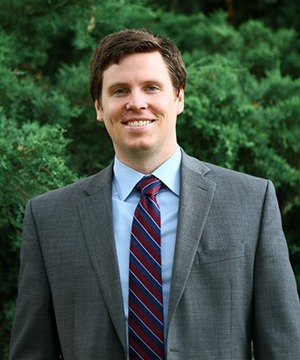 Before joining Ringenberg & Beller, P.C., John clerked for Justice Hill of the Wyoming Supreme Court. John also worked for the Larimer County District Attorney’s Office as a Judicial Intern where he gained significant experience in court. John is a native of Fort Collins. He graduated from the University of Wyoming School of Law in 2014. While at law school, John served as the student government’s treasurer, took part in legal clinics, and completed multiple externships. John enjoys being active with his wife and family through traveling, hiking, and other outdoor activities as well as helping out his local community. He has coached high school mock trial which he believes provides a great opportunity for local high school students to get a taste of practicing law. John has also coached boys’ youth basketball for the City of Fort Collins for four seasons at the 6th, 7th, and 8th grade levels. While in law school, John volunteered his time for the Volunteer Income Tax Assistance Program. During John’s undergraduate studies, he volunteered with the Restorative Justice Program in Fort Collins.